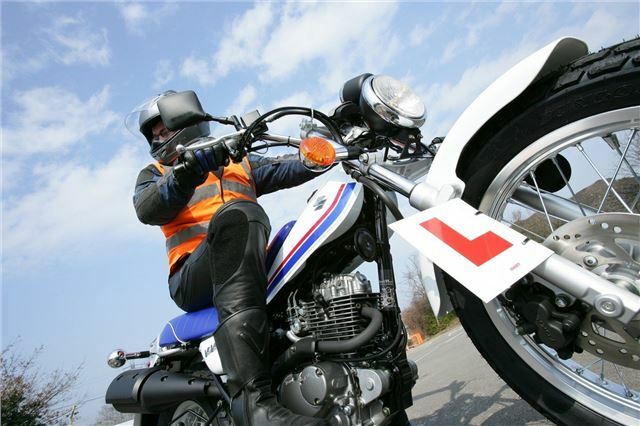 The motorcycle test is set to be overhauled with the trial introduction a new, single on-road test, according to plans published by the Road Safety Minister Mike Penning. The test is currently carried out in two parts, one on-road and one off-road. The report from the Department of Transport suggests a new hazard avoidance manoeuvre which - subject to further trialling - could be carried out on the road. There is also a proposal which will be given further consideration, that slow manoeuvres such as slalom, figure of eight, and U-turn could be examined at training centres by delegated examiners ahead of the main test. The next step will be to hold wider trials, with test-level candidates, in the new year. This process will be followed by public consultation on the proposed changes. The Department for Transport hopes, subject to further work on safety, cost and value for money, that there would be a phased introduction of on-road testing moving to general adoption of the new test by the end of 2011 or early 2012. This will include on-road testing in priority areas which are poorly served by the current network of off road test centres. The report from the motorcycle test review is the result of work the Department of Transport has undertaken with motorcycle groups and training organisations since June 2010. "I want to make sure that we have a test which prepares bikers properly for the road so the motorcycle test review is a top priority for me," said Mr Penning. The current motorcycle test was introduced in April 2009 and is taken in two parts. Module 1 contains the specified manoeuvres element of the test including exercises designed to assess the rider's ability to control their machine safely, including avoidance and emergency stop exercises. Module 2 includes an eyesight test and at least 30 minutes of on road riding. "My goal has always been a single, on-road test which is rigorous and reflects real-life conditions. By working with the motorcycle training industry and others we have identified a set of changes which have the potential to deliver this." "It is also my aim that these changes will open up the test to those living in areas which are poorly served by the current network of-off road test centres," he added. The full report can be found by clicking here.